Trash is a huge threat to sea turtles and sadly, our oceans are filled with it. Plastic bags and other debris look similar to food, which means they often make the mistake and eat the trash. Sea turtles have fleshy spines lining their throat, which means once they swallow something, they cannot regurgitate it. So if they make a mistake and eat the wrong thing, it has to be digested, which can often be fatal. But, thanks to a young visionary named Boyan Slat, there is hope for our oceans and the sea turtles. Combining brilliance with logic, Boyan has designed a feasible and profitable way of cleaning up our oceans from harmful plastic that otherwise will never breakdown. 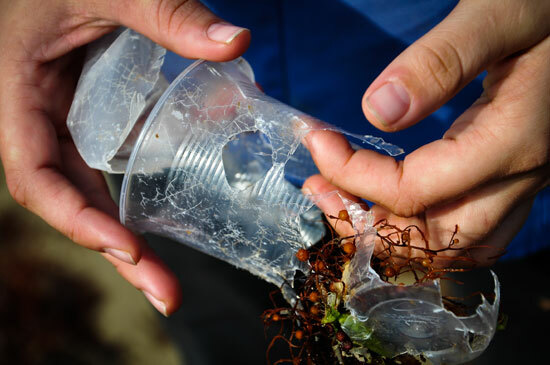 Plastic is harmful and toxic to all marine life, including birds. Then that the toxicity travels up the food chain and ends with humans. The brilliance of this project is that he intends to make the ocean currents do most of the work. In theory, half of the oceans trash could be cleaned up in ten years! The Ocean Cleanup Project has just received full funding for their first prototype, and will launch it this summer! They will launch the prototype in the Dutch North Sea and monitor how it performs and withstands the elements. By 2020, they plan to have the official 110 km structure in place in the Pacific Ocean and have half the trash removed by 2030. There is much momentum behind this young man, and although there are skeptics, nothing will change if nothing is tried. Thank you, thank you, Boyan, for your dedication, passion, and realistic approach to solving one of the largest problems the world faces! To follow updates on this project, go to: http://www.theoceancleanup.com.